A. Let Your Spirit Guides Speak is a follow-up to The Only Little Prayer You Need, which gave readers a powerful and practical tool for healing fear in their lives. That prayer opened a conversation with Spirit, and this book is all about taking that conversation further. How do you create a deep and intentional relationship with spiritual guidance that can support you every day? Q. What is spiritual guidance? Does everyone have it? A. Yes, I believe that everyone has a team or teams of guides—unseen helpers who are with us always to give us information, wisdom, guidance and comfort. People might call them angels or light beings. Whatever and whoever they are (and they’re different for each person), they can help us with anything from the most mundane decisions to life’s biggest challenges if we learn how to pay attention. Q. Isn’t this a little odd? A. People throughout the ages, of all faiths and religions, have considered themselves mystics or have talked to God directly. Today, when mainstream religion is on the decline, more and more people are opening up to developing a personal relationship with spiritual guidance. It’s actually not odd at all. I believe that, over the next decade or two, our ability to consciously build a relationship with divine wisdom will become much more widespread—and critical to our survival on this planet. Q. How does this help people on a practical level? A. Think what it would mean if you knew you had a best friend/counselor all rolled up into one—and you had access to their advice and wisdom 24/7. Let’s say you’re facing a decision at work and don’t know which way to go. Or you’re having financial challenges and need a different perspective. Or one of your kids is getting into trouble and you don’t know how to help them. When you have a relationship with your spiritual guidance, you can access a vast resource of help not just when you’re having a crisis, but at any moment of the day. The practical applications are endless. Q. How do people get in touch with their spiritual guidance? Is this the same as prayer? A. Certainly prayer is a part of it. But sometimes prayer is seen as a one-way conversation: I ask and hope that God will answer. When you build a relationship with your spiritual guidance, it’s truly a two-way communication. There are many ways to do that, which I describe in the book. But there’s nothing magical about it. You start the same way you would with another human being whom you’re meeting for the first time. You sit down and say, “Hello, I’d like to get to know you.” Then pay attention. Q. 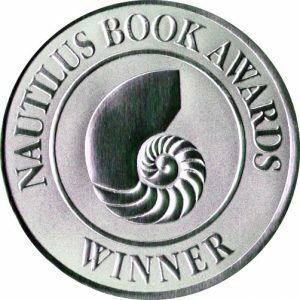 What will readers learn from the book? A. How to meet your guides if you haven’t already, and how to deepen that relationship even if you’ve worked with your guides for a long time. I’ve included a lot of stories and practical steps that will help any reader get started and build this relationship into one of the most important in their life. The book shows what it means to live a life guided by Spirit, so there’s a lot in it about what I’ve learned from my guides…powerful stuff that will help you approach situations in your life from a very different perspective. The main message I’ve learned is that life doesn’t have to be such a struggle or so confusing. We don’t have to feel alone, because we never are. When we remember that— and intentionally partner with Spirit every day—we really can co-create a life of peace and purpose. Want more wisdom about building a relationship with your inner guidance? Check out my 12-part podcast series on Let Your Spirit Guides Speak. The podcasts go into depth about points in the book, so they’re a great way to learn more and share with others who might be interested. 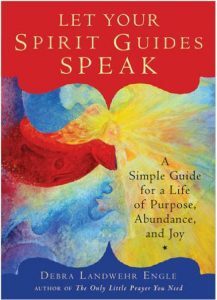 Here’s what my friend Dana Kennedy said about Let Your Spirit Guides Speak.